You are well aware about IPL that how much famous it is and its teams particularly. 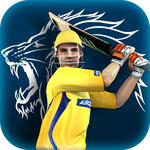 IPL, Indian Cricket League Apk has millions of fans across the Globe who loves it so much. Particularly Chennai Super Kings and its stars like Dwayne Bravo, MS Dhoni and many other players are so much famous among IPL and Cricket Fans. Battle of Chepauk is an Android cricket game application where you will go to find these all stars, their team and many other IPL teams. You are going to have very thrilling and adventurous cricket battle between IPL teams in Battle of Chepauk App just on your Android mobile phones. Battle of Chepauk is about cricket clashes between the superstars of IPL so you are going to play cricket with these cricket Gods. This game is based on twenty-20 cricket format as I have already mentioned above. Apart from this IPL mode, you have another best feature and that is now you can change the Game mode to other cricket game. Developers have added some extra and enjoyable features into this game, although some of those cannot be possible or does not exist in real cricket, but they have added these features just to entertain you. However, those features include Super over that is an extra over where both teams plays one more deciding over when their score become tie between both teams, Super Chase, in which you have to chase some special targets in some limited overs by doing this you can win the match and so on. You can do practice in the game in order to compete with other IPL teams as well as to unlock next matches an items. To download cricket apk app than click on down hyperlink.